How long will it take me to complete the event? Is there a way to determine my splits between aid stations? What can I do in training to prepare for the specifics of this race? Where will I need a headlamp? But how do we create this framework when an ultramarathon race’s length and the expansive terrain it crisscrosses are so overwhelming? By doing a little research on the internet, any runner, no matter their experience or ability level, can develop and benefit from a pacing plan. Follow this methodology to clearly define your race-day pacing strategy. For the purposes of this exercise, I’ve selected the Silver State 50 Mile as the goal race. The event website with course map, aid-station information, elevation profile, and past results. 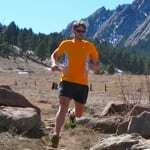 Result-storage databases like UltraSignup, RealEndurance, the International Trailrunning Association’s (ITRA) Performance Index, or Run100s. Access to free GPS-compatible athletic-tracking platforms like Garmin Connect or Strava. Step 1: Do your due diligence. Study the general layout of the course and the profile’s silhouette. Note any loops, out-and-backs, altitude, net-elevation gain, and locations and lengths of the major climbs and descents. See Figure 1. Plot aid-station locations against the profile’s outline. This will reveal terrain like valleys, ridges, and mountaintops you’ll face between checkpoints. See the bottom half of Figure 1. Determine distances between aid stations. These mileages, along with the topography gleaned from above, will provide you an initial glimpse of how long it may take you to get from point ‘a’ to ‘b.’ See Figure 2. Learn accessible crew, pacer, and drop-bag locations. Not every checkpoint allows crew and/or drop bags. For example, Silver State allows crew only at the River Bend Aid Station at mile 33. This will be crucial information when determining your placement of special nutrition or equipment needs. See Figure 2. Figure 1. Silver State 50 Mile course map and elevation profile with aid-station locations included. All images are screenshots. Figure 2. Silver State 50 Mile aid-station distances, net gain, drop bag, cut-off information. Step 2: Estimate your overall finishing time. Examine previous results and compare yourself against past performers, who we’ll now call ‘avatars,’ of a similar ability level. Do this by selecting avatars that have similar finishing times in other events you’ve completed. Their performances in your goal race will establish your likely finish time. Use a large avatar sample size to account for anomalous data. UltraSignup may be the easiest tool for cross-referencing other runners’ performances with your own. See Figure 3. For example, before last year’s Silver State I determined that I had a good shot at finishing in less than nine hours due to the past performances of Eric Skaden, Denise Bourassa, Charles Hofacker, and Sean Meissner (among others)—athletes who usually finish around the same time as I do in other events of this distance and terrain. Consider using RealEndurance or Run100s for older race results or ITRA’s Performance Index for European event results. Figure 3. UltraSignup has many years of Silver State 50 Mile finisher data. Step 3: Compile your avatars’ race splits. If you’re lucky, your race might include splits on its website, like the Western States or JFK 50 Mile. A handful of race splits from some well-known events are also collected in databases like UltraSplits (Figure 4) or UltraLive.net (Figure 5). Figure 4. Race splits for the Western States 100 collected from UltraSplits. This figure shows only the top finishers, but all finisher splits from 2012 to present are available. Figure 5. Race splits for Western States collected from UltraLive.net. Again, only the top finishers are shown, but all finisher splits are available from the past year’s webcast. If your event’s splits aren’t publicly posted (Silver State’s, for example, aren’t), or you must fill in the gaps the websites above may have missed, search for previous race performances on a platform that tracks athletic activities like Strava (Figure 6) or Garmin Connect (Figure 7). Search by race location and keyword. Strava also includes the ‘Flyby‘ function (Figure 9), which allows you to view and compare other runners who traveled the same route during the same time frame. Figure 6. Results from a Strava “Silver State 50” activity search for Reno, Nevada. Figure 7. Results from a Garmin Connect “Silver State 50” keyword search starting near Reno, Nevada. Figure 8. Ian Torrence’s 2015 Silver State 50 Mile Strava data. Figure 9. Strava 2015 Silver State 50 Mile Flyby data. By using the race profile, aid-station locations (Figures 1 and 2), and your avatar’s data (Figure 8), you can now determine how long it took the avatar to travel between checkpoints. For example, at Silver State, the avatar in Figure 10 arrived at Peavine Summit Aid Station in 2:02 and then reached the following aid station, Long Valley, in 3:03 (Figure 11), a 61-minute split. Use this procedure to determine the splits between all aid stations for all your avatars. Note: As in the data presented here, you may find mileage discrepancies between avatar GPS data and website information. Ultramarathons are rarely measured accurately and GPS units are known for being finicky. The time it took between locations is the necessary data and constitutes a good pacing plan, not the distance covered. Figure 10. Peavine Summit split (Silver State’s third aid station at mile 12.5). Figure 11. Long Valley split (fourth aid station at mile 19). Step 4: Determine your race-day pacing using your avatars’ raw data. Place these splits side by side. You’ll discover that no one, even though they finished at roughly the same time, has the same pacing pattern throughout the race. Note the similarities and differences and at what point the pacing starts to differ. Who had the strongest finish? Did any runners lose big chunks of time at aid stations? Did sections of the course take any of the avatars an uncharacteristically long time to cover? By interpreting the nuances of the data, you can devise your own personalized approach and begin practicing it in training. You’ve never run an ultra before. The race is a first-year event or there is little to no data available. The course is altered significantly from past years. Abnormal weather makes racing conditions difficult. Pacing charts are nothing new. Some events provide rudimentary examples, but now you have a methodology for generating your own detailed projections by using a multitude of recently developed online tools. How do you develop your race-day pacing strategy? Do you use any of these technologies? Do you combine technologies like Ian has to get the biggest bang for your buck? Are there additional tools or methodologies that you use to help you formulate your race-day plans? UltraSignup.com has a “target” time if you click on the entrants list for a race. I believe it is calculated based on previous years winning times and your UltraSignup rank. It’s definitely not perfect or detailed by splits, but it gives a decent ballpark estimate for us lazy ultrarunners. I’ve found that target to be well off the mark most of the time, even with them having my previous times on the same course. Thats just my experience with it though. Usually that time is comically inaccurate. It’s only good for sharing with your friends for a laugh. Even moreso than variations in distance, it is important to recognize that not all elevation gain totals are created equal. Very few courses have been mapped with an accurate and/or precise altimeter. Most rely on GPS which is actually a poor measure of fine altitude changes. But the big difference comes in to how different software interprets GPS tracks and translates them into elevation totals. With the same input file two different applications will yield very different results. The end result can be significant differences – I have many examples of runs that Strava says are about 5k elevation and Garmin says are closer to 9k. In every case I believe Strava to be more accurate. Of relevance here, I am seeing lots of races reporting high elevation totals that I don’t believe based on the course profile and knowledge of the area. It is important to know what the basis of the elevation totals are so you can adequately prepare. A 50k with 5000 ft of climbing is a very different run than one with 9000 ft. So the first thing I do is use the resources Ian talks about here to determine if that is a ‘Strava number’ or a ‘Garmin number’. Ironically, here in New England where there are a lot of up/down wiggles, the Garmin Connect DEM correction yields significantly *lower* numbers than the GPS, which I find to be more believable. Also if anyone can recommend free software or services that take gps tracks and produce course profiles which can be annotated with aid stations or other features at the appropriate mileage and provides data about climbs (length, gain, grade) automatically that would be most excellent. Doing this by hand can actually be a fun way to spend time getting to know the course, but I suspect there’s something out there to speed up the process should one choose. Ian describes the most scientific approach possible. Nothing wrong with that. I also look how runners I know have performed in a race I want to run next. To get an idea of a realistic finishing time. BUT there are so many factors going into an ultrarace and since they are long a lot of things can happen. While it is great to have a realistic scenario to start with and be prepared it’s also important to keep your attitude up when things go different. And they will because it’s an ultra. Great article. I am all about proper pacing. I just can’t understand it when so many runners zip on by me in the first few miles of a 100 miler, already out of breath. I assemble one of these for all my 100 milers. I do many of the things that you mentioned, but I also go through and figure out mile by mile, what my pace should be like, in order to come up with aid station splits. Just using others’ race reports, plus the elevation profile usually allows me to get pretty close. Thanks for sharing your spreadsheet. I also do an spreadsheet for every race but not as complete as yours. You just gave me a few ideas of a couple of things that I should add to mine. Thanks! If it’s a 100-miler, run at an easy pace. If it’s a 50-miler run at a fairly easy pace. If it’s a 50k run at a fairly quick pace. Adjust accordingly depending on how “elite” you think you are. I’ve tried over-anlayzing race data before, but it’s so hard to accurately judge pacing in a trail race. I integrate 2 things: 1.) a race profile, and 2.) a curve-fit of personal training / race data of pace and gradient. My race profile will have detailed mileage and elevation that I gather from race websites, blogs, training runs, Strava, etc. This allows me to break the course into dozens of entirely uphill, downhill, or flat segments, generally 0.5-4.0 miles long. For each segment I calculate the gradient for the incline/decline. I also note aid station locations. My personal training and race data will reflect the effort and conditions I expect in the upcoming race. I’ll scour focused training runs or previous races to find specific segments of entirely uphill, downhill, or flat running and note the gradient and my pace. A scatter plot of gradient vs. pace will reveal a trend and I typically apply a 2nd order polynomial curve fit to get a formula for pace given a specific gradient. All of this can be done in Excel. Then I apply that curve-fit formula to the race profile segments to calculate aid station and finishing times — I also will add in time for fatigue (+1 min/mile after 50 miles, +2 min/mile after 80 miles, etc. ), aid station stops, etc. I can even adjust these functions to create best-, expected-, and worst-case scenarios. It has proven surprisingly effective in guiding my race efforts and predicting my finishing times. Great article, thanks. I use a lot of these methods to estimate my pace range and time to aid stations, then I put the info of my estimated time to aid stations based on the pace range in a table, and format to print it out in a long strip. Then I use packing tape to laminate it and create a pace band to wear on my wrist. (For a 100 miler I usually create two — one for the first 50 miles, the other for the second 50, since it’s difficult to fit the info for a 100 miler onto one wristband). It really helps to have this info as a guide during an all-day effort when you can feel disoriented about where aid stations are and how long it should take you to get there, and whether to push the pace or be conservative. Planning is an important and fun exercise in race preparation, but I see its value more in assisting crew and pacers in arriving at aid stations in the proper time range. For fellow non-elite runners, I caution against being obsessed with running the plan too rigidly on race day, with the biggest danger being running too hard early in the race because you lagged behind your target time on a previous segment. I develop a general, flexible plan for split times, but use a more rigid plan based on heart rate, particularly for the first half to two-thirds of the race. Based on training experience, I set one heart rate target at a long-term sustainable effort to keep me from going too fast or too slow, and then a higher target for climbs to tell me when it’s time to back off or walk. For a trail ultra – there are so many variables that can effect split times and overall finish time that this is not possible . Determining approximate split times might be interesting but it doesnt tell you in real time what pace you should be running at – all it tells you is how long it took to run the last section and whether thats faster or slower than other runners who achieved the time you want to run ran it at in previous races . Not to mention none of the above can tell you what speed you should be running at a particular moment. It also bases your race strategy on other people which is never a good idea as the majority of men particularly go out too fast. “I really dont believe its worth investing the time at all in going too deep into the numbers other than to get an idea of how much food and water you’ll need for each leg” — well, to each his own, but I strongly disagree. The numbers you get in your plan probably will not exactly happen on race day. But the effort of preparing them will serve you well, keeping you from doing anything stupid on race day, and giving you valuable perspective when things change. I prepared enormous amount of data, maps, splits, you name it, for Spartathlon (153M) last year. The race, of course, did not go exactly to plan. But I still finished within 5 minutes of my target splits — and in 28th pace. At the marathon mark I was in 250th place. You can’t run by feel in a 153M race. It doesn’t work. Or in a 100M race. Ditto for Desert Solstice 24-hour. Also did not go according to plan. But I planned the hell out of it, and it helped immensely on race day. I’m a bit late but I think my post will be valuable as it will answer very well to this exact topic and, to my belief, will provide a very good solution to the above problem : Determining Ultramarathon Race-Day Pacing. Since the last 5 years, I’ve been using a software called Course Generator. This software offers the possibility to estimate as accurately as possible the time required to complete a specific course by foot (run, race, trek…). To do so, it will take into account multiple parameters such as the altitude effect, fatigue coefficient, time spent at each aid station and, most importantly, it will compute the time at each GPS point using a speed/slope curve specific to each of us. Originally, it was only available in French, using the metric system and for Windows only but since today, I am happy to report that it is officially available in English, it supports both the metric and imperial system and can be used across multiple platforms (Windows, Mac OS, Linux).